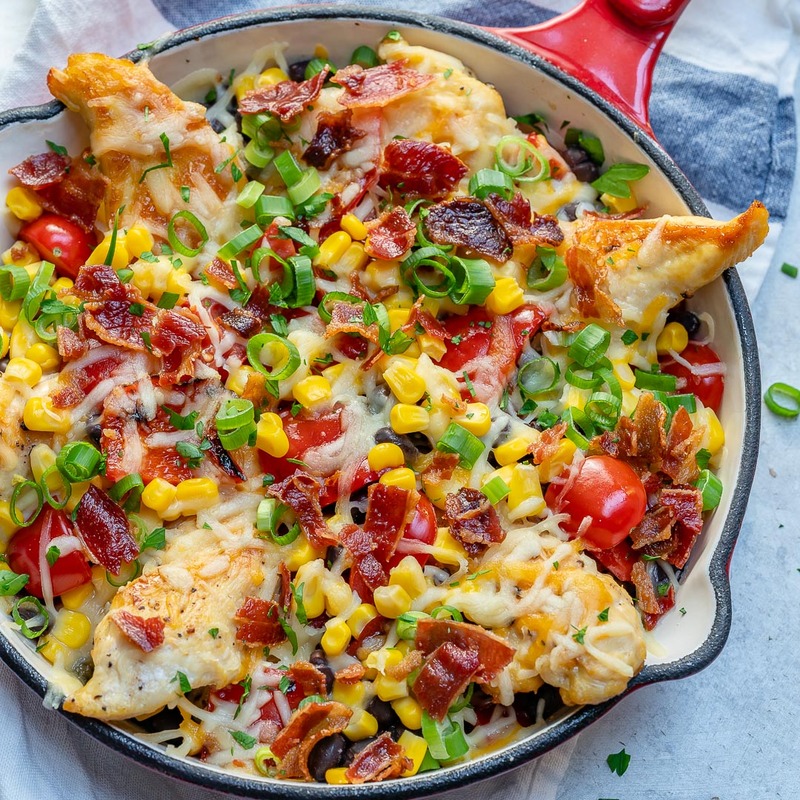 Add this Chicken “Nachos” Skillet to Your Clean Eating Weekend Plans! 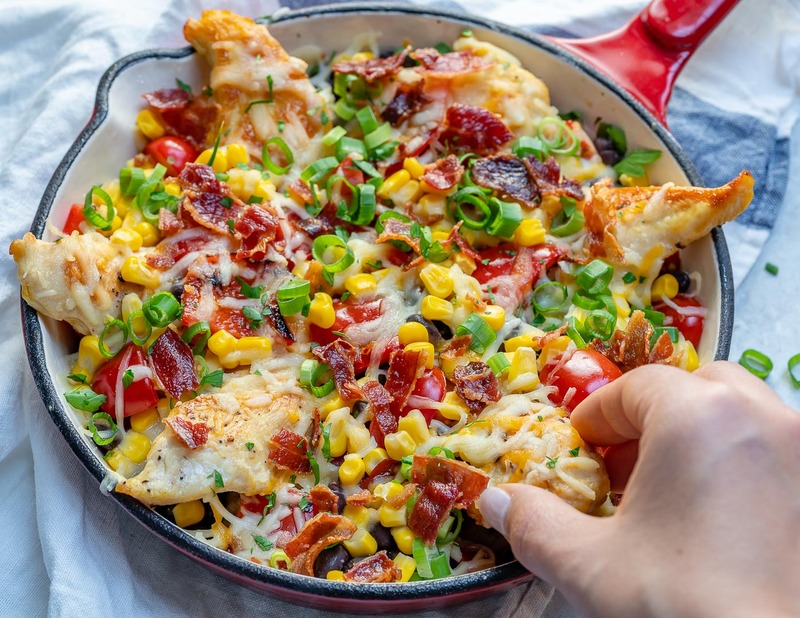 In a large glass bowl add chicken tenders, with the bell pepper and sprinkle with paprika, chili powder, cumin, sea salt, and pepper. 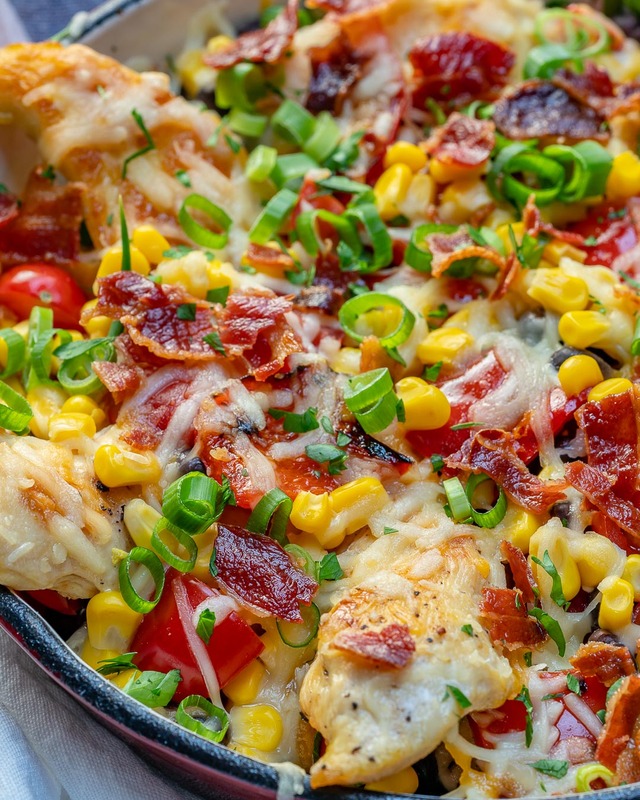 Mix together with your hands to get all chicken pieces well coated with the seasoning. Heat oil in a large, oven-safe skillet over medium-high heat. Add chicken and bell peppers mixture and cook, stirring for about 8 minutes, or until cooked through and nice golden brown on the outside. 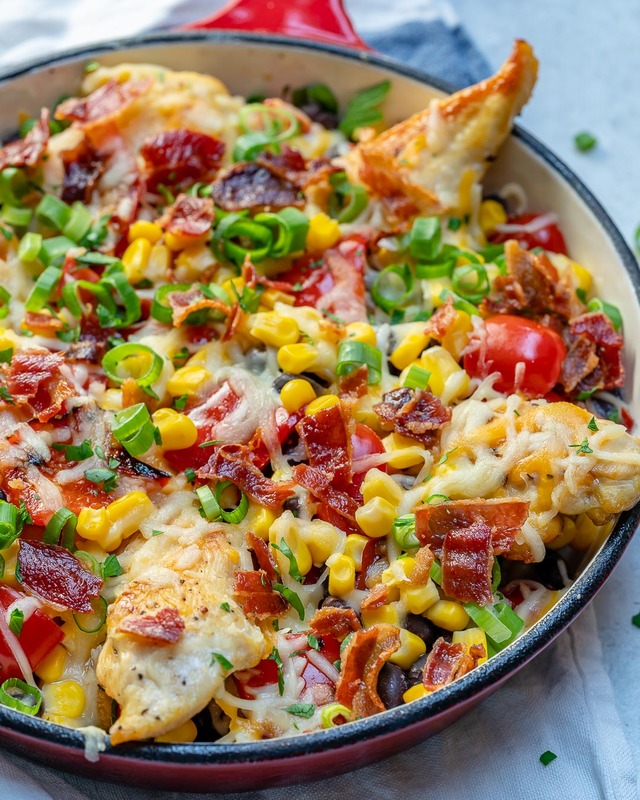 Once all chicken tenders are cooked, arrange them in the skillet as shown, and sprinkle on the toppings: diced tomatoes, corn, black beans, and cheese. 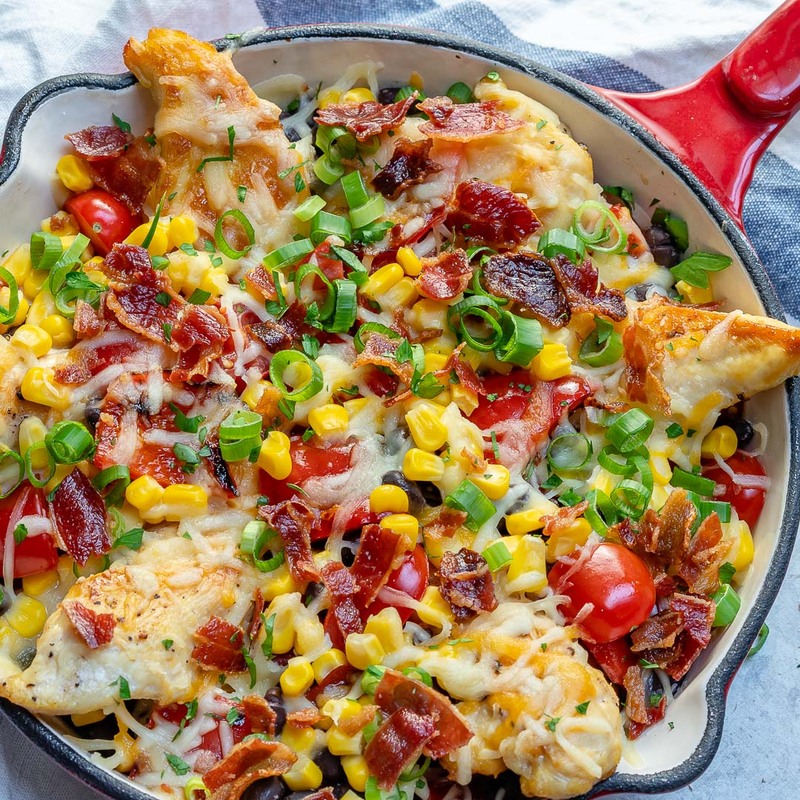 Place entire skillet in your preheated oven and bake until cheese is melted about 4 minutes. 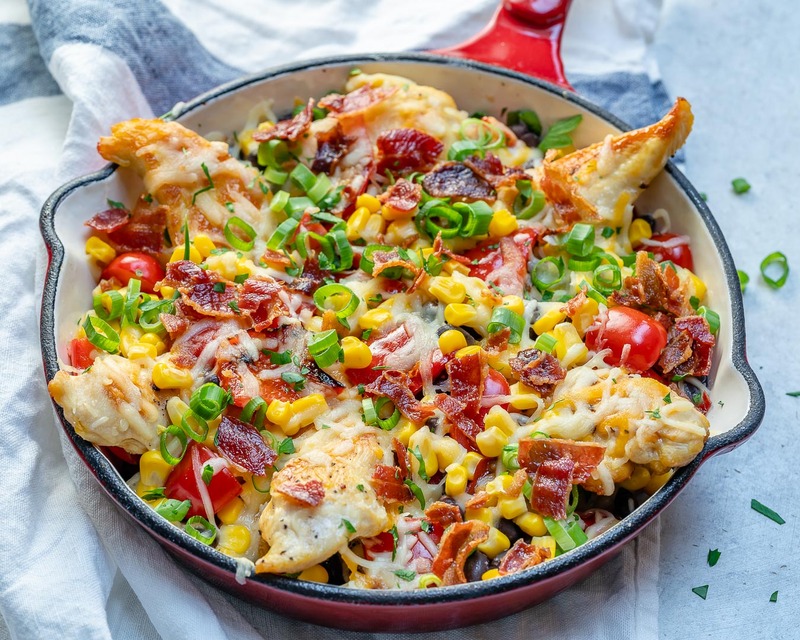 Remove from oven and garnish with green onions and crumbled bacon on top.